Sells quilting fabric, some knits & heavier cotton, and quilting supplies, along with knitting yarn and supplies. We have regular social times and clinics, with classes starting soon. Hours: Monday-Saturday 9-6, Sunday 11-5A Philadelphia institution, you never know what you will find at Gaffneys; but you are sure to find a treasure trove of quilting cotton, apparel fabrics and upholstery. Be sure to check out the bargain basement as well! Great Selection of batiks, blenders, Moda, and reproduction fabrics, as well as a large variety of quilting classes. Byrnes has all of our sewing needs covered with a selection of machines as well as fabric and notions. They are a wide selection of Batik fabrics. They also offer a wide variety of sewing and quilting classes. A selection of garment fabrics, quilting cotton, patterns and notions. The Sewing Room is located inside the Doylestown Train Station. Steve’s has just about everything you might need for sewing and quilting. From notions, books, and embroidery designs to all types of machines (sewing, serging, & embroidery), as well as the furniture to accommodate your sewing endeavors. Carries an assortment of modern fabrics with lots of colors. A friendly and inspirational gathering place where creative ideas flourish and projects get their start. A wide selection of fabric, notions, and machines including Bernina, Long arm services and embroidery machines. If you are in for more of a Quilting adventure you may want to make a trip to the Lancaster Region and check out these shops. Your stop for all things fabric. Quality service at affordable prices. Great Selection of quilting fabrics at great prices. A staple since 1965. Fabric shop with textiles for quilting, dressmaking & interior decor. Specializing in fabric, quilts, and sewing classes. Also has a selection of jams and relishes. Stocking over 4,000 bolts of fabric from designers including Hoffman, Robert Kauffman, Michael Miller. Authorized Bernina dealer as well as repair shop for all sewing machines. Ladyfingers also offers classes, workshops, and Long Arm Rentals. “We just don't have quite enough room for all of our bolts.” Also offer on-site sewing classes. 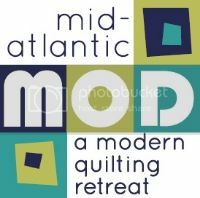 And if you are looking for a great selection of items online, we encourage you to check out 1Choice4Quilting and The Quilters Bazaar, both owned by members of the Philadelphia Modern Quilt Guild.